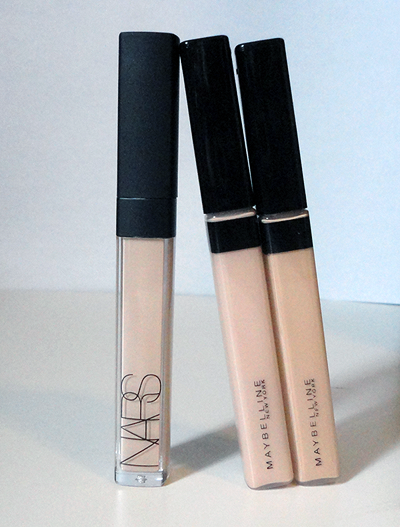 When the Nars Radiant Creamy Concealer was released a few months ago the blogosphere blew up. Every blogger raved about this concealer and I knew that I needed to have it. I was running out of my Bobbi Brown Corrector so, ignoring the 10 other concealers I own, decided I needed this Nars newbie. Since buying the Nars Concealer I have heard that the Maybelline Fit Me Concealer is supposed to be the drugstore dupe. I decided to pick it up and compare the two. I fell head over heels in love with the Nars concealer at first swipe. But everyone loves a good dupe. So does the Maybelline concealer match up? When shopping the Maybelline section, I had originally picked up shade Light 10 because it was the first shade in the display. Once I got the shade home and opened the tube I quickly realized it was far too dark. I went back and picked up Fair 15. Fair 15 matched me perfectly and also had pink undertones. The Maybelline range has 6 shades to choose from. As with most higher end brands there is a better shade selection. Nars has 10 shades available with warm, cool and neutral undertones. I picked up Vanilla Light 2 which has pink undertones and is a perfect match for me. I have been using it under my eyes and on any red areas for more coverage around my face. The concealers both come in the same type of lip gloss-style packaging with a doe foot applicator. The Nars packing is larger and heavier in the hand, made of a slightly sturdier plastic with that beautiful matte cap that Nars is famous for. Although the Nars is larger it actually has less product with 6ml while the Maybelline has 6.8ml. I don't have excessive dark circles but I hate the ones I have nonetheless. Covering them up is one of my major beauty concerns. 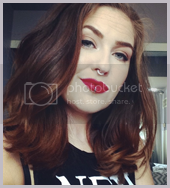 In the photos above I have applied two thin layers of both concealers. I have experienced slight creasing in those little under eye lines with both concealers. But I have never had a concealer not crease on me and it is nothing that isn't easily blended away. The Maybelline concealer is slightly more liquid and lighter than the Nars. This makes it a little bit easier to blend in but also gives it less coverage. I don't know if you can tell from the photos but the Maybelline does have slightly less coverage than the Nars. This is more apparent when just using one layer. But since I hate my bags, I always apply two. The biggest benefit that the Nars concealer has over the Maybelline is lasting power. I am the kind of person that has watery eyes so I am constantly rubbing and touching my eye area. Both concealers require some touching up if you are planning to wear them for a full day. Because the Nars is a bit thicker I think it stays put a little better. It lasts about 6-8 hours with some slight wear starting at 6 hours and needing a touch up at 8 hours. The Maybelline concealer lasts around 4-6 hours with some slight wear at the 4 hour mark and needing a touch up at the 6 hour mark. I like to set my under-eye concealers with the bareMinerals multi-tasking SPF concealer in Bisque which can up the lasting power by an hour or two. On both accounts I like to keep these babies in my purse in case of a dark circle emergency. The main reason that these concealers are considered dupes is because of their finish. Both offer a satin luminous finish that helps to brighten your under eye area. I am obsessed with glowy skin and these concealers definitely give off that radiant finish that I love. The finish is the same on both concealers. What I also love about these concealers is that they never look cakey. 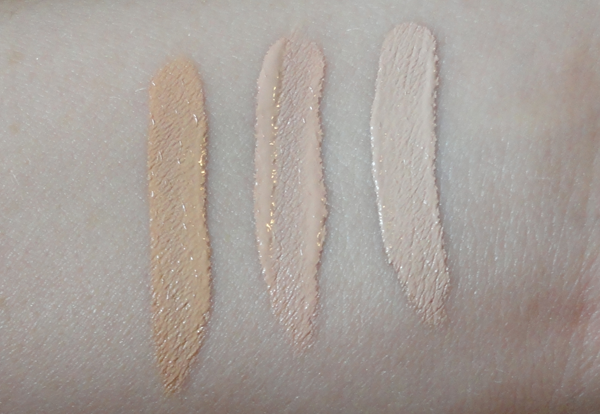 These concealers are creamy and blendable and even if you apply multiple layers they do not cake up under the eyes. I think this is due to the hydrating properties in these concealers. My under eyes are super dry but you wouldn't know once I pile on some eye cream and these concealers. Verdict: I really do love both of these concealers. If you don't want to shell out the $30 for the Nars Radiant Creamy Concealer, the Maybelline Fit Me is as close as you're going to get at the drugstore for just $7.98. I personally prefer the Nars concealer. It has a higher coverage and lasts longer. I am the kind of person that never touches their makeup up during the day. I need something that is going to last as long as possible. But the evidence is in the pictures. The Maybelline Fit Me concealer is definitely a dupe and if you can find a shade in their range I would recommend checking out this affordable alternative before making the plunge for the more expensive Nars. These concealers are both amazing and Maybelline has been knocking it out of the park lately. I can't believe the Fit Me Concealer hasn't gotten the hype is deserves for being so amazing. i will have to try this concealer thank you . check out my blog just started ?